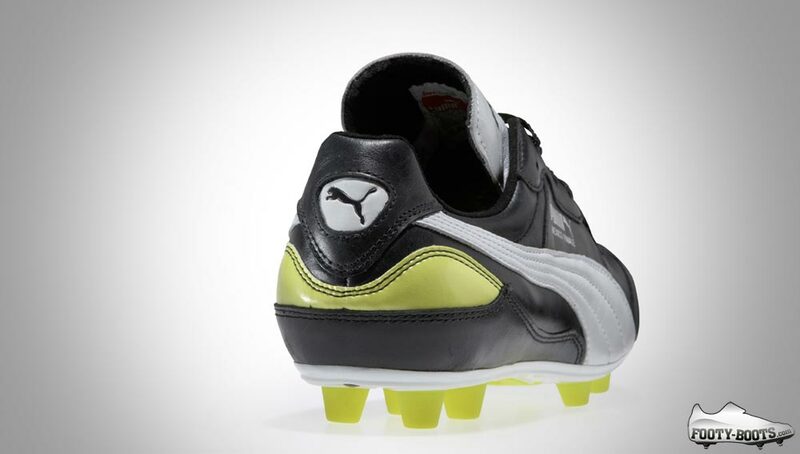 Puma have been digging into their past again, and for good reason. For this most recent forage into their time vault results in a revamped classic – traditionalists read on! Few will need reminding that in the Mexico world cup in 1986, Argentina, thanks to the brilliance of captain Diego Maradona’s feet and the infamous ‘Hand of God’ in a quarter final win over England, were World Cup winners. 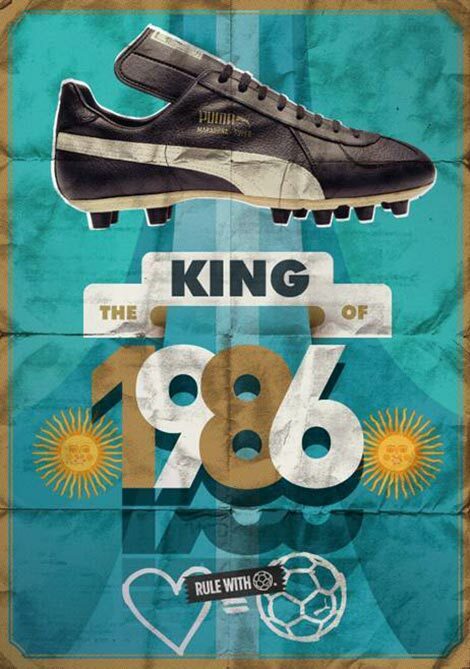 Football boot fans will also recall the iconic Puma King football boot the Argentine used in the tournament. 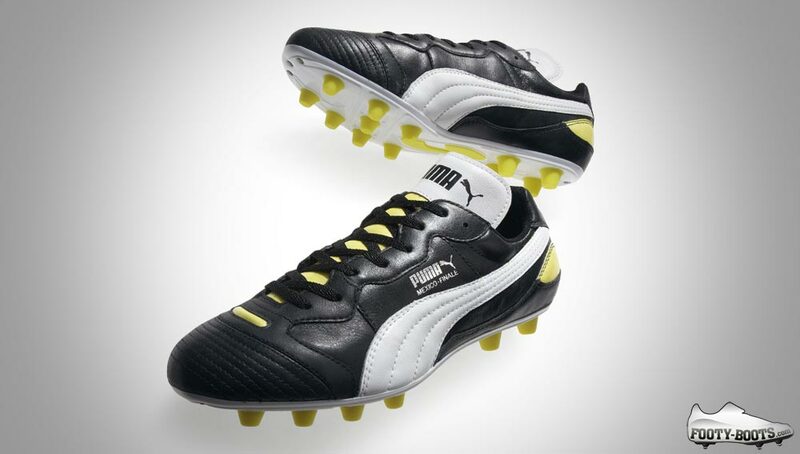 The new Puma Mexico Finale football boot is a revival of this timeless classic, in remembrance of the original Puma Mexico Finale worn by Diego Maradona in the 1986 World Cup. 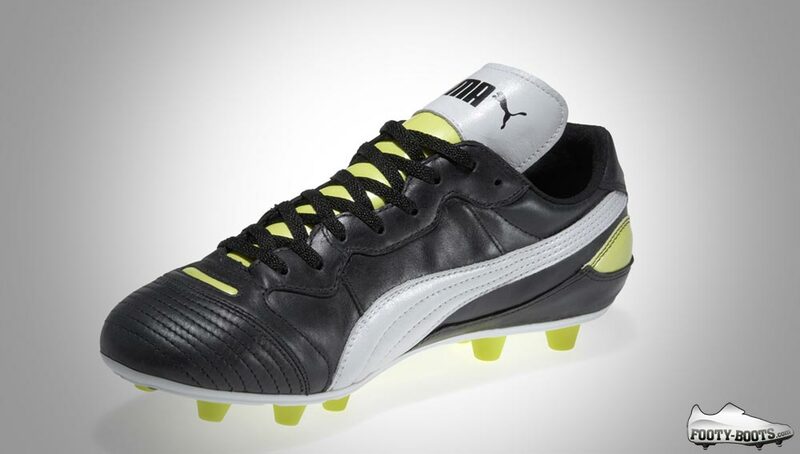 Whilst not quite following the original colourway of plain black and white, the new Puma Mexico Finale is not far off. Only the addition of a ‘fluro yellow’ strays from the 86 model. Perhaps the only let down in our opinion on this revamp. The upper is afforded a supersoft K Leather supported by a lightweight PU direct injected bi-density outsole (it’s light and tough and helps with your traction!). The vamp is quilted, but is thin enough to maintains a good touch on the ball and of course you cannot miss the classic fold over tongue which remains from the original. We’re won over at Footy Boots HQ with this heritage styled boot, but what do you make of it? Previous articleVIDEO: WHO IS SUPERFLY? 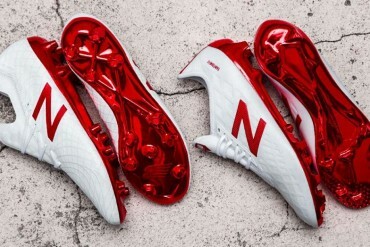 Agree with you guys, the boot looks very tasty, but would be all the better without the yellow. 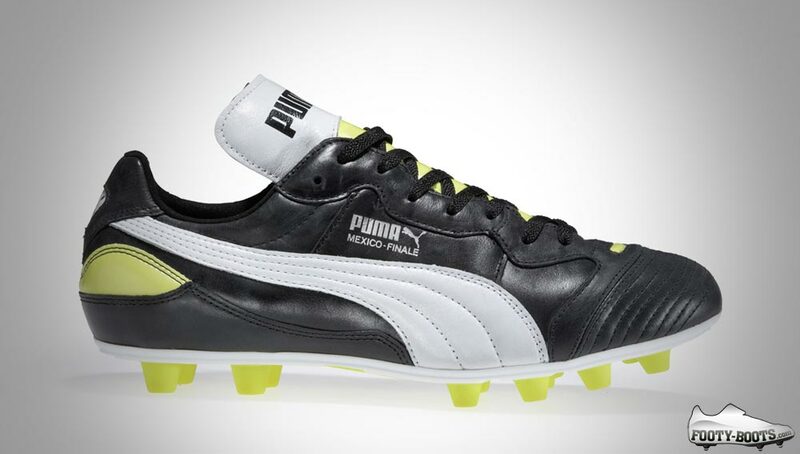 Swap the yellow for white and its getting up there with the Copa’s. I actually like that shade of yellow.